Email or call us with any questions or inquiries. We are happy to answer any questions or set up a meeting to move forward. Follow us on social media for up to date tips and information on Christine’s programs and strategies. 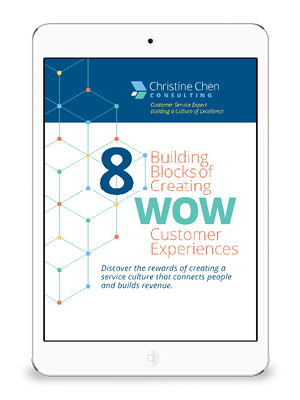 Download our digital e-book 8 Building Blocks of Creating WOW Customer Experiences for up to date information on creating the WOW factor in your organization.